Association of Campus Evangelists and Apologists (ACEA), President; Academic Council for Educational Accountability (ACEA), V-President; Institute of Campus Evangelism, Church-planting, Apologetics and Prayer (ICECAP), Director; Grace College of Divinity, Adjunct Professor; Fuller Theological Seminary, Former Adjunct Professor; Oral Roberts University, Former Adjunct Professor; Fuller Theological Seminary’s Graduate School of Campus Ministry, Former Founding Dean; ACEA’s Missional Church Consultant, Certified: ChurchHealth.net, Outreach Magazine’s Resource of the Year Award..
Revivalist, abolitionist, R. York Moore serves as National Evangelist for InterVarsity Christian Fellowship USA. Author of 3 books, his book, Growing Your Faith by Giving it Away, has equipped thousands in evangelism. York became a Christian from Atheism while studying philosophy at Univ. of Michigan from where he has his B.A. degree in Philosophy. While serving on a variety of boards, he is National Director for Catalytic Partnerships with InterVarsity, convening leaders for missions, community development and evangelistic initiatives. One such initiative, the ‘Every Campus’ initiative, is a multi-organizational coalition focused on planting gospel movements on every campus in America. He and his wife live in the Detroit, MI area with their 3 children (http://tellthestory.net). Ministries Magazine contributor and author of Engaging the Culture: Why Sharing Your Faith Is Not Longer An Option (2018). Having travel in over 36 nations, Ken has spoken on over 130 university campuses nationally and internationally. Ken is a senior minister with Every Nation Churches and Ministries where he has been an equipping evangelist and church-planter of 12 churches in Oceania; the founding pastor of Every Nation Church, Auckland, New Zealand, and later Every Nation Church, Brisbane, Australia. Ken travels to college campuses and beyond doing apologetic seminars and equipping others in apologetics. Ken’s marriage of decades to Renee has garnered them 4 adult children who are making their mark in education, business and vocational ministry as well (kendewresources.com). Mark Slaughter, B.A. Bible (Taylor U); M.Div. (Trinity). With over 25 years as a senior Evangelist with InterVarsity Campus Ministry, Mark speaks at college campuses, conferences and churches. His event, “Question Mark…a safe place to explore your real questions about God,” expresses compassion-filled, interactive apologetic discussions addressing moral and societal issues facing today’s culture. Once a pastor, Mark became a graduate of Leighton Ford’s Arrow Leadership Program which launched him further into evangelism. He also serves as the National Facilitator of Emerging Generations with Mission America Coalition (U.S. Lausanne Committee) promoting their Love2020 Initiative by mobilizing apologists into the Prayer-Care-Share lifestyle. Mark is based out of his Indianapolis Grace Church with his bride of decades, Dawn, and has two adult children (markslaughter.org). Now in 17 languages, Erik is author of the world-renown “Disciple: Journey with Jesus, Change Your World” book, and its companion, “Pocket Disciple,” featured on iDisciple by the Family Christian Bookstores as well as on TBN’s Top 3. An Evangelist and mission strategist, he has trained thousands in evangelism through Youth With A Mission, The Circuit Riders, Bethel School of Supernatural Ministry, and other organizations. He is the founder of Student Church Movement and trains student church-planters through his DiscipleX training experience to multiple disciples and simple expressions of the church using innovative, grassroots strategies for multiplying movements of the gospel. 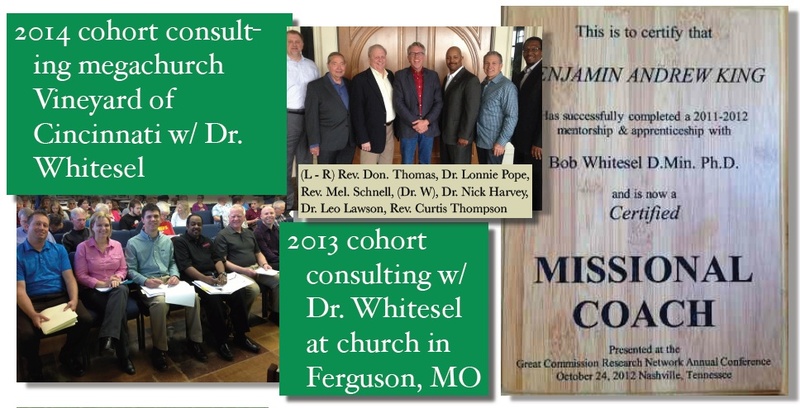 He passionately pursues the spontaneous expansion of church planting movements (CPM) and serves a a coach with (his mentor) Dr. George Patterson’s People of Yes. Erik works on campuses from Arizona State U to Univ. of So. Cal. training students, vocational campus missionaries, and workplace bi-vocational campus missionaries. His marriage of decades to Jen has garnered him 4 amazing children who are living missional church with their parents in Phoenix, Arizona (erikfish.com).